Summit Racing now carries StopTech Brake Rotors and Disc Brake Pads. They're direct replacements for OEM parts, but provided much improved stopping power for passenger cars, trucks, and SUVs. StopTech rotors are a significant upgrade over stock components. Most rotors have a corrosion-resistant E-Coat finish on both sides of the hat, inside the cooling vanes, and on the outside edge. The coating prohibits rust accumulation that can compromise braking performance and accelerate pad wear. Slotted Rotors have StopTech’s exclusive Vac-U-Slots to help evacuate gasses and dust, shed heat, keep the brake pad surface clean, and push water off the braking surface during rainy conditions for better stopping power. Drilled Rotors are cross-drilled to improve heat and gas dissipation. Cross-drilling also helps wipe away the debris that forms between the pad and the disc to improve stopping power. 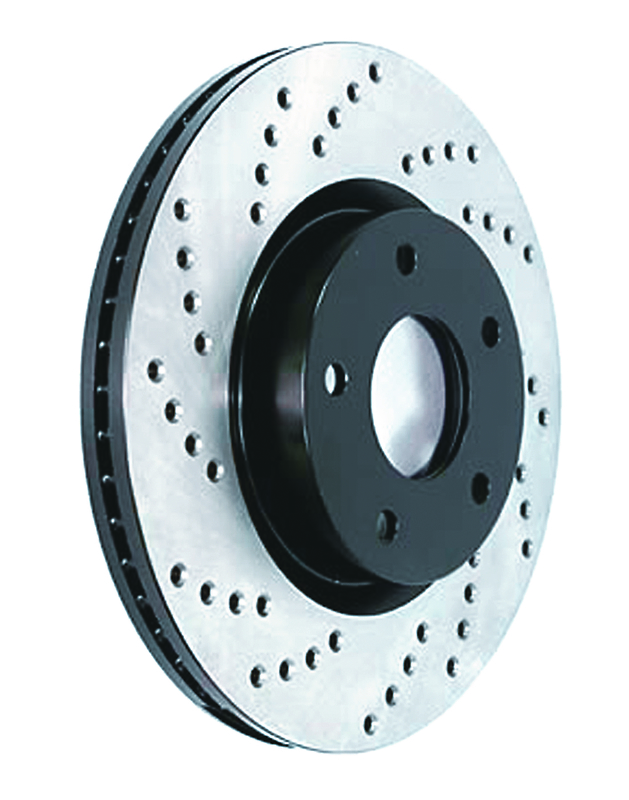 Slotted and Drilled Rotors perfectly balance the benefits of both drilled and slotted-style rotors to deliver lightweight performance, smooth braking, and shorter stopping distances--even on wet roads. Summit Racing also carries StopTech’s Sportstop rotors. Designed for high performance vehicles, the rotors are cast from a unique chromium/iron alloy and are mill-balanced to resist thermal stress and vibration noise. They’re CNC-machined with optimal slotting and drilling patterns to improve heat and gas dissipation and maximize stopping power. 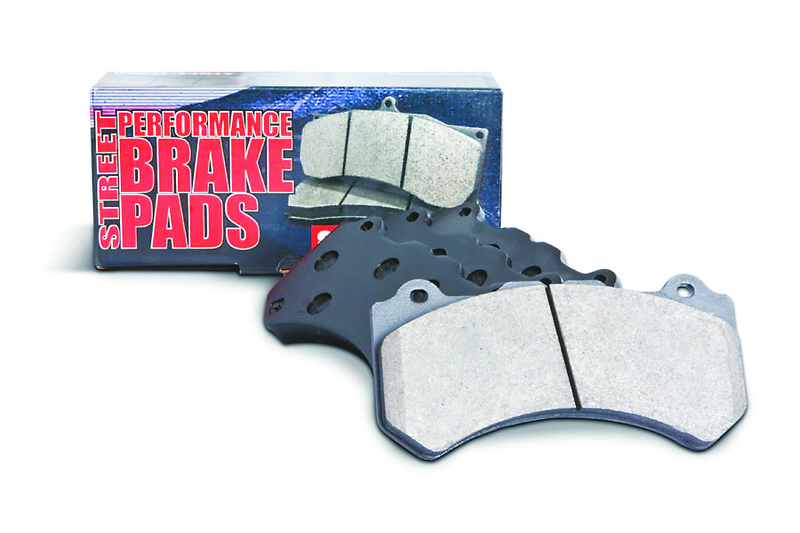 StopTech’s Street Performance brake pads offer excellent stopping power without the drawbacks of dedicated race pads. The pads are made with a para-aramid composite that creates less dust and provides consistent stopping power regardless of pad temperature. Brake squeal is also significantly reduced compared to all-out performance pads. Each pad is scorched to raise initial cold-temperature effectiveness, which also makes it easier to bed them. The pads boast a friction material with a uniform density to create more reliable braking performance. StopTech rotors and pads are available for many domestic and import vehicles from the 1960s through 2015.